Justin Timberlake might want to press his suit and tie for this announcement. The singer has just nabbed his first "Suit & Tie"-era gig. He's set to take the stage Super Bowl weekend in New Orleans. Timberlake will perform at the DIRECTV Super Saturday Night event on February 2, one day before the big game, Billboard reports. The charity event, which benefits Shriners Hospitals for Children, will go down at the DTV SuperFan stadium and will include appearances from the night's DJ, Questlove, as well as host Mark Cuban. The gig marks Timberlake's first big return to the stage in a handful of years. While he has yet to confirm bigger tour plans ahead of the release of his next album, The 20/20 Experience, the last time Timberlake hit the road for a major trek was back in 2007 for his FutureSex/LoveShow. The same day news broke that Timberlake will perform next week in New Orleans, it was also announced that video plans for "Suit & Tie" are well under way. 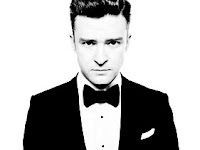 On Wednesday (January 23), Timberlake dropped a swaggy, black-and-white 30-second preview for his "Suit and Tie" lyric video for the record-breaking single. "It's a day-in-the-life look at one of today's biggest superstars while he gets down to business at a photo shoot for his upcoming album, The 20/20 Experience," director Laban Pheidias (Adam Lambert, Alicia Keys) said about the clip, adding that the lyric video "takes fans on a ride with Justin through the streets of Los Angeles from the Hollywood Hills to Sunset Boulevard." The anticipation for "S & T" is pretty high, with the single breaking apersonal sales record for JT in its first week. It moved 310,087 copies and beat out "SexyBack," which moved 250,000 copies in 2006. The track was produced by JT's longtime pal Timbaland, who also worked with him on "SexyBack," "Cry Me a River," "My Love" and more. It also features Jay-Z.